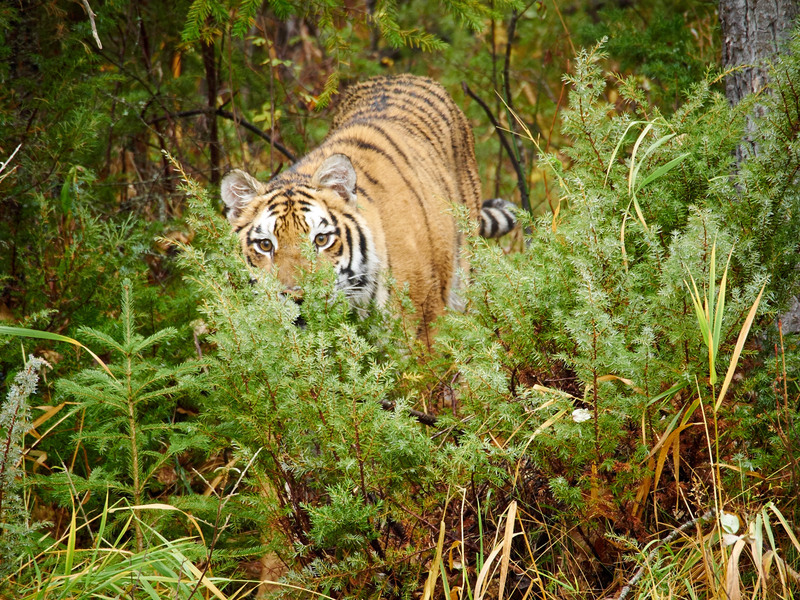 A Siberian Tiger watching from the brush. Most of us think of taking a photograph of a person as capturing that person in a moment in time. It can range from a snapshot to a carefully crafted portrait. When a photographer wants to tell a story, they’ll frequently use a model. We see it all the time in advertising as well as in fine art photography. Not all models are people – there are animal models as well. Just as with people they may be featured in advertising, entertainment, or sometimes just as a study. 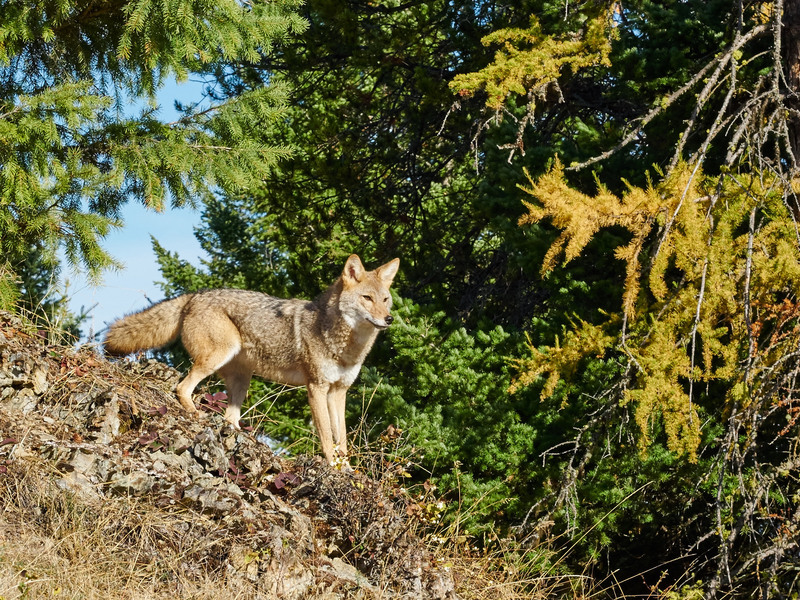 A coyote takes in the area. 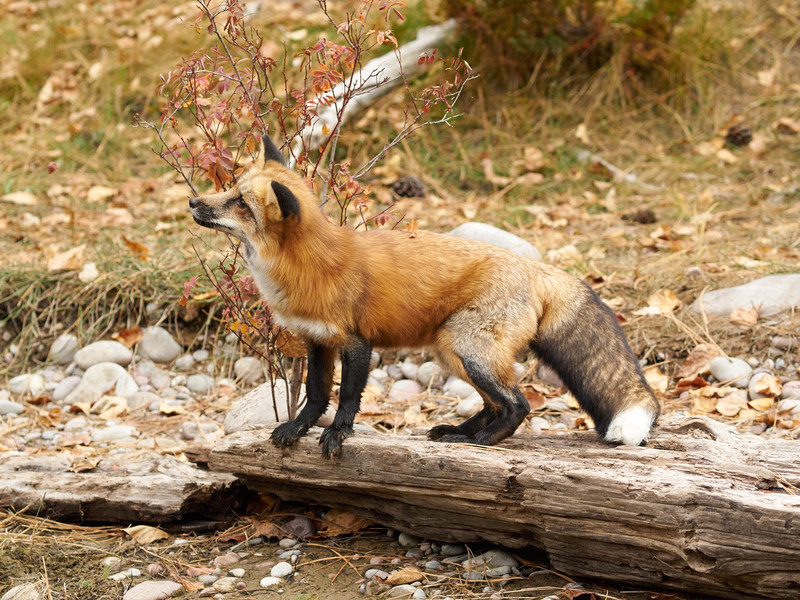 We recently spent a few days at the Triple D Game Farm on Kalispell, Montana photographing some wildlife models. Aside from the obvious advantage of access, working with the animals was interesting in that we could get closer than is easily (or in some cases, safely) possible in the wild. With the exception of the larger predators there was no barrier between us and them. 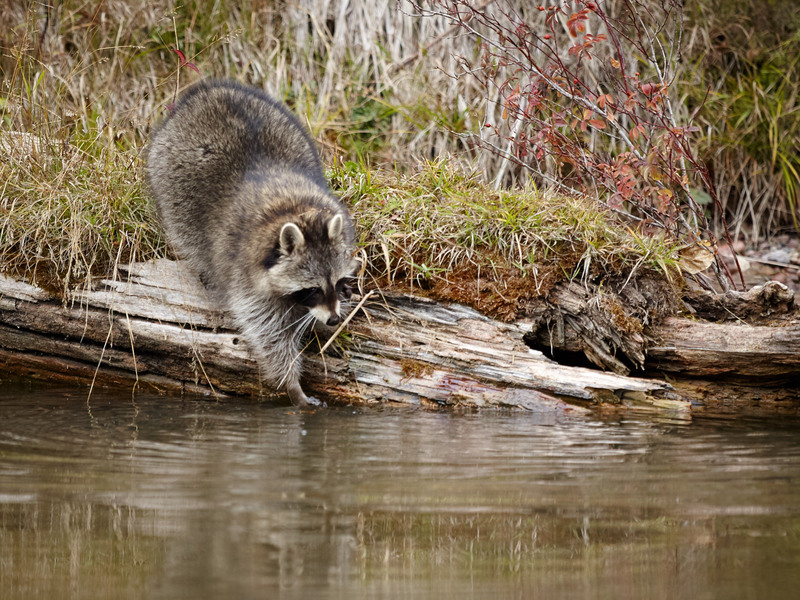 Searching for something tasty in the pond. While these animals are used to being around people, they’re not particularly tame. The trainers work with them from the time they’re born and as such have a relationship with them. The safety session we were given consists of mainly warnings that make sense – avoid sudden movements, don’t run, when to stay in a group, don’t look like food…. 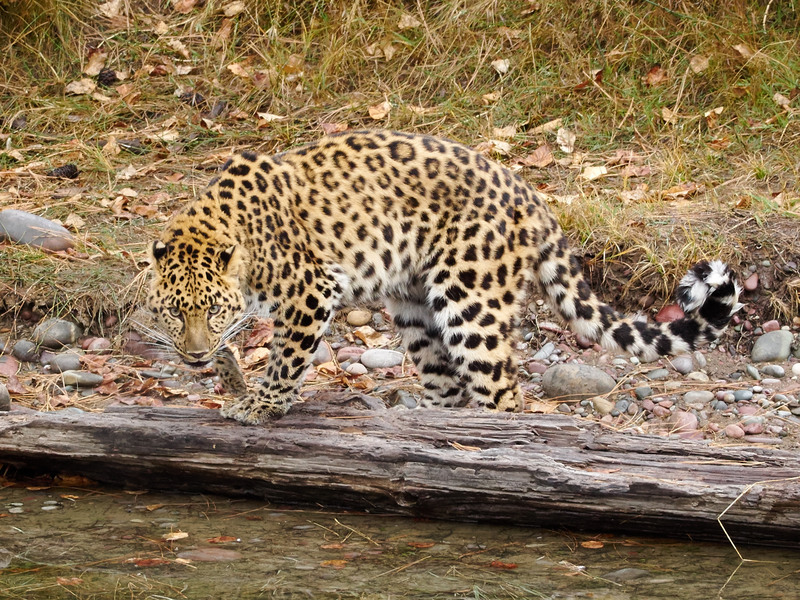 It’s estimated there are only about 50 Amur Leopards left in the wild. Their habitat is normally southeast Russia and northwest China. The smaller animals and the wolves didn’t seem to notice us at all, or possibly see us as potential competitors. The leopard and tiger, on the other hand, seemed to be of the opinion that while we weren’t really in their food chain, they would be willing to make an exception. 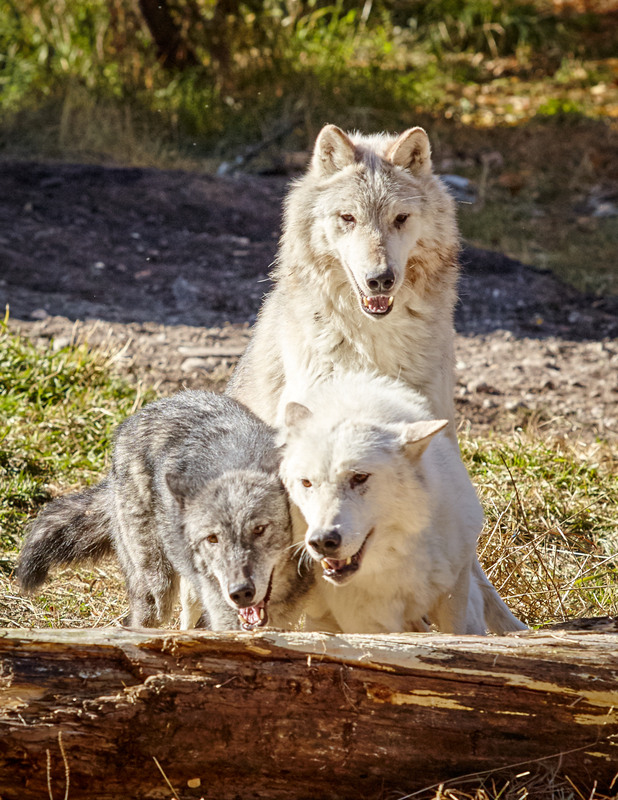 There’s a certain attitude visible with the wolves when they’re in a pack. The Grizzly Bear didn’t seem to mind our presence though he certainly knew we were there. 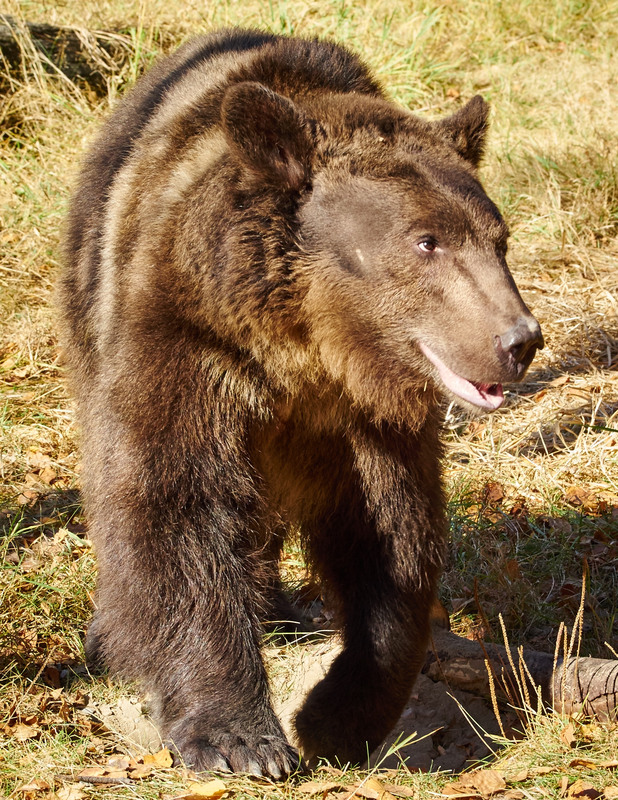 While most of the animals were transported to different locations for the photo sessions, the Grizzly and the wolf pack were shot at Triple D’s location in a large fenced in area. While the cats are neat, and the kittens and cubs are especially cute, I found the wolves to be most fascinating. The difference in their behavior in the pack as to when they’re alone was really apparent. 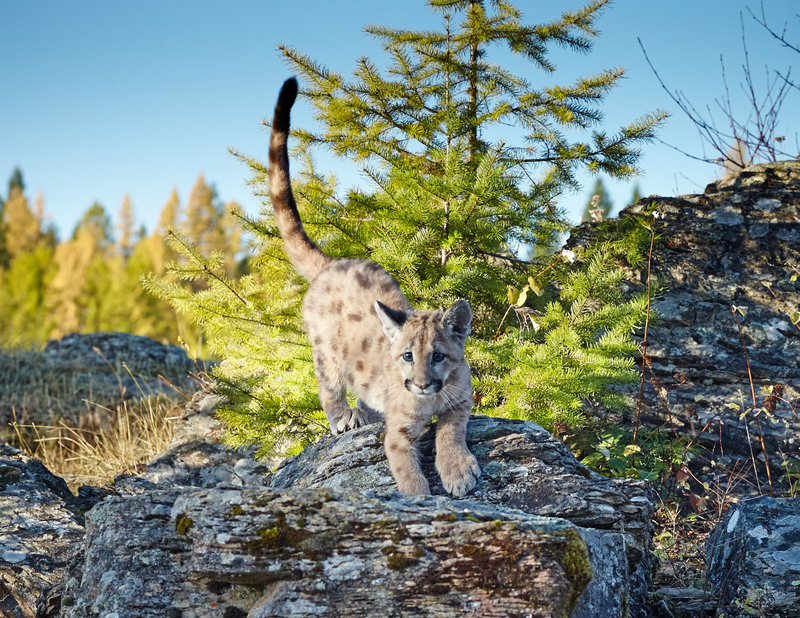 Three month old Mountain Lion cub. This trip was put together by Kathleen Reeder and was originally going to be in one of northern Arizona’s slot canyons, but unfortunately logistic and scheduling difficulties resulted in Triple D being unable to make the trip. The folks at Triple D then made use the offer of shooting at their location in Montana at a discounted rate. Kathleen adjusted her plans and coordinated the trip as though she had been able to plan it well in advance. The foxes were very quick and full of energy. We ended up with a great trip, more animals than we would have been able to have had we been in Arizona, plus the opportunity to actually visit the ranch and see what a professional operation they run, all for less than the original trip would have been. A full grown Mountain Lion. On top of all that was an unexpected trip to Montana, with some incredibly beautiful scenery. This was my first trip to that part of the country, and it certainly won’t be the last. 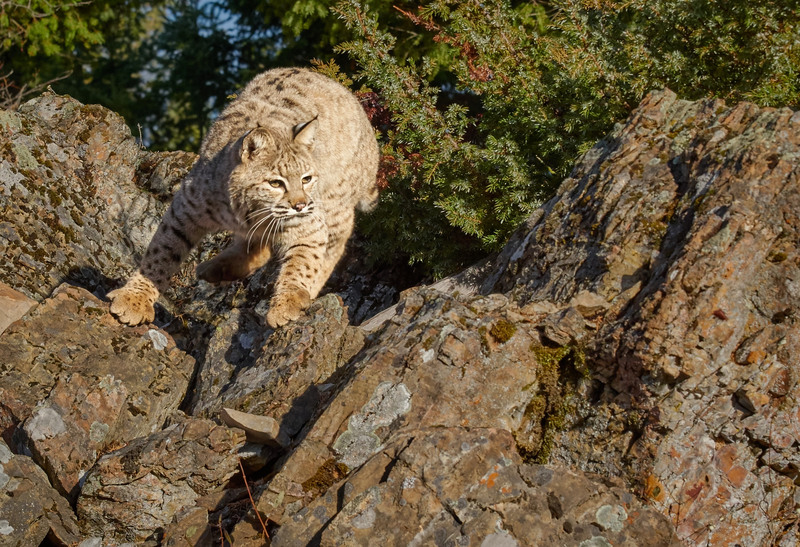 The Bobcat looks like a big domestic cat, but I wouldn’t want to try to pet one. More of my Triple D shots can be seen here. Some with the trainers are here. 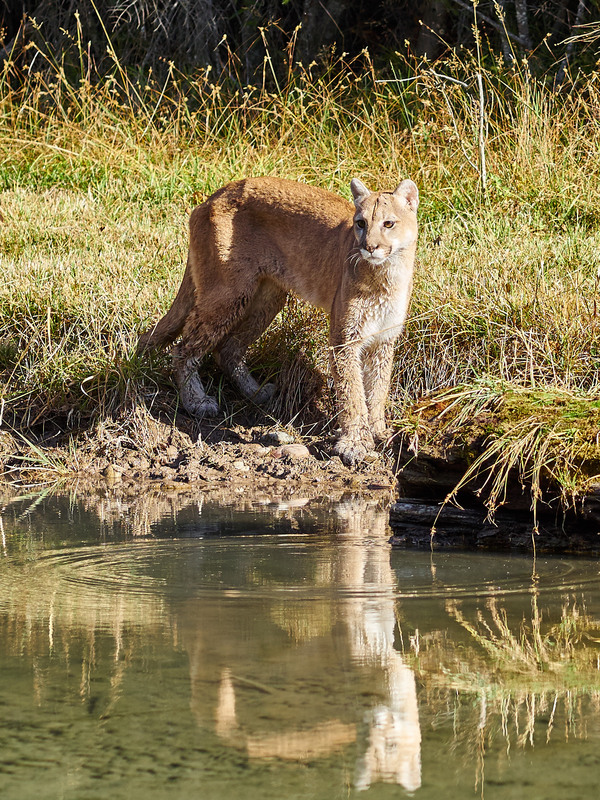 This entry was posted in Nature, Workshops and tagged Kalispell, Triple D, Wildflife on December 1, 2014 by Phil Ryan.